Tired of herding cats? PheedLoop offers the most powerful speaker management tools you'll ever use. Streamline profiles, sessions, and communication. All your speakers get their own private, web/mobile speaker portals. These portals can be used at any time to customize their event experience, and make your job as a planner way too easy! 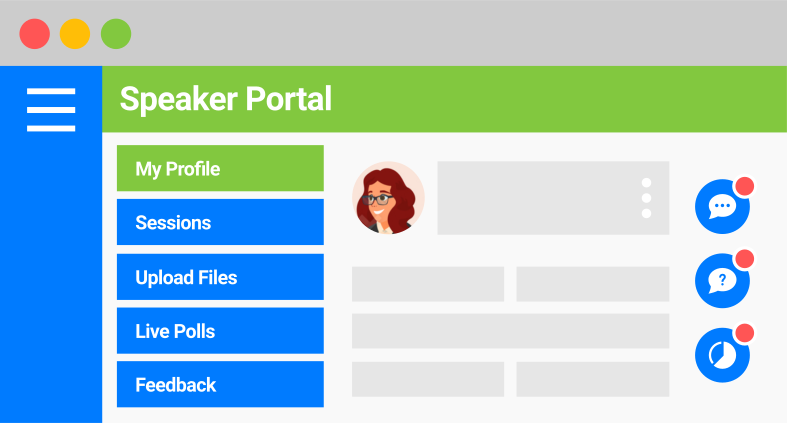 Speakers can use their portals to do everything from editing their profiles, sessions, and co-speakers, to adding live polls, viewing questions, uploading files, and accessing the event app! A scalable approach to creating engaging presentations means equipping your speakers with the right tools. That's exactly what PheedLoop does. 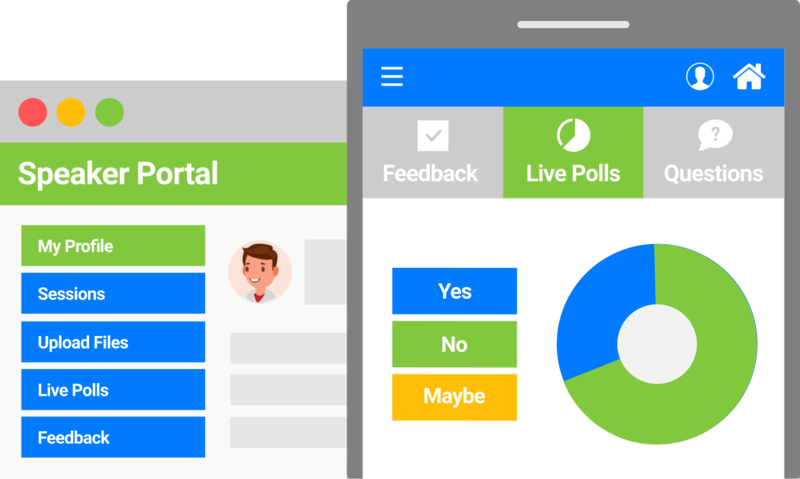 Speakers themselves can use their portals to easily build engagement into their presentations by embedding live polls, drawing questions from their audiences, and soliciting feedback in real-time during their sessions. 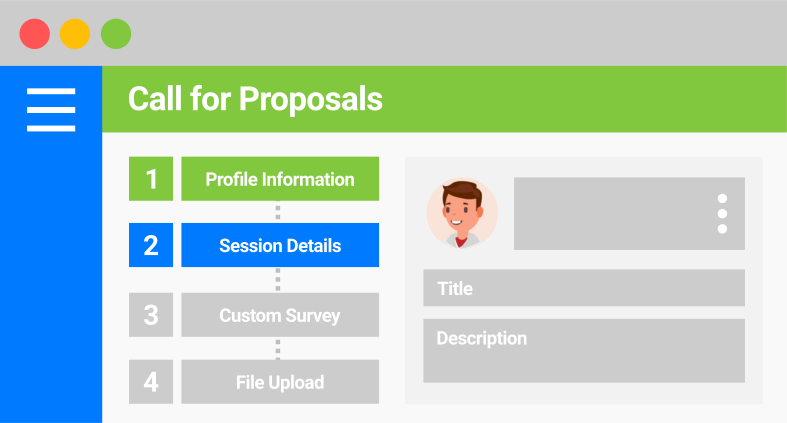 What if we told you PheedLoop's call for proposals system allows you to instantly create an intelligent system to draw in speakers, set up review panels, and instantly connect submissions to your app and website? Once you experience the level of efficiency and engagement PheedLoop's call for proposal system enables, you'll never look back. How are speakers added to PheedLoop? There are three key methods to add speakers. First, speakers can be drawn directly from PheedLoop's call for proposal system. Second, bulk data upload. Third, single entries. When are speakers sent their portals? Once you're ready, speaker welcome emails (customizable) are sent out automatically. Depending on the speaker profile's completion status, they'll get reminders automatically. Can speakers upload files and slides? Yep, at any time they want to! Speakers can add files to their assigned sessions, and edit existing ones. The files they upload are available instantly for attendees via the app. Can I assign multiple speakers to sessions? Yes, you can add as many speakers as you want to any session. Speakers can manage all their sessions, and their co-speakers via their speaker portals as well. Are speaker portals mobile compatible? Yes, speaker portals can be accessed via any device, desktop, tablet or smartphone. We will soon be embedding speaker tools directly into the event app as well. Can speakers see their feedback? Absolutely, speaker feedback is constantly updated and available right away for review. Details about who submitted the feedback is masked for privacy reasons. How are live polls added? 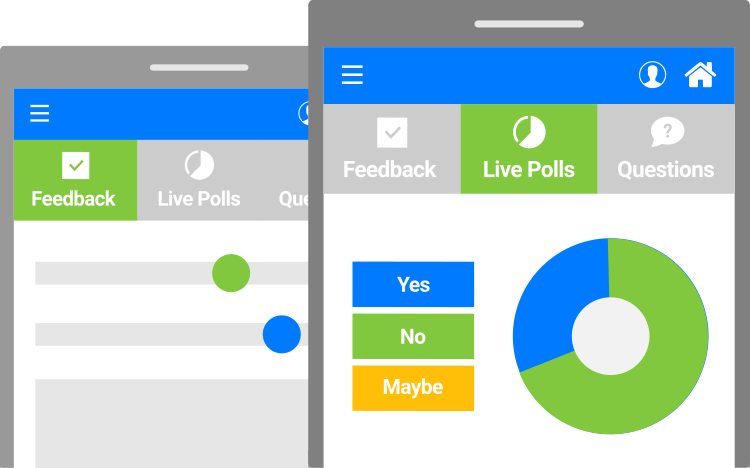 Speakers can add live polls at any time on their own, which are essentially dynamic multiple choice questions with no limits. Multiple polls can be added and activated at the right moment. Can I export speaker data? Absolutely, at any time. Speaker data can be exported to Excel spreadsheets, with complete profile and session information. Let us know if you have custom reporting needs.